Bored? 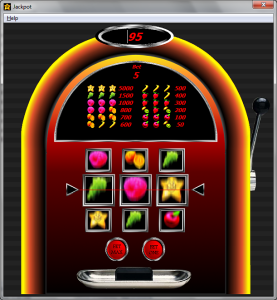 How about a nice game of Jackpot? 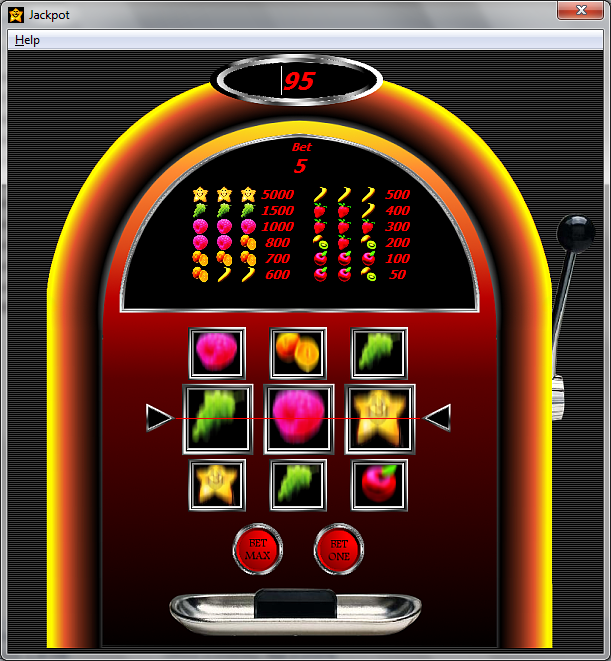 This was an exercise project for the User Interfaces -course at Lappeenranta University of Technology in 2005. If I remember our assignment correct, we were asked to create an example application with a simple and self-explanatory user interface, like a simple game or so. Programmed using Visual Basic nine years ago. Runs on Windows. Download the zip file and unzip it. Run jackpot.exe.